Thirty minutes later we were back at the hotel, sitting cross-legged on Jason’s bed, diamonds spread in front of us. We were suffering from something I now think of as Diamond Fever. We were giddy. Jason opened a bottle of wine from the minibar. We toasted each other. He held the diamonds up to my ears. Just to see how I would look with really good accessories. And perhaps that was what got to him. My finely dressed ears. But the next thing, we were kissing. It was only one kiss. But I will say it was a good one. Really good. Surprisingly good. Considering. I thought about all the times Rock Hudson had kissed Doris Day. Was this what it was like for good old Doris? Handsome Rock kissing away and Doris knowing he was probably thinking of Roddy McDowell? When we pulled apart I noticed Jason’s eyes were still closed. And his hands were still on my earlobes. Slowly he dropped his hands and opened his eyes. I wondered if he might cry. Might accuse me of despoiling his lips. Maybe they had never been kissed by a woman other than his mother. I was ready for can’teven-catch-your-breath drama. But he looked fine. Really fine. Like nothing at all unusual had happened. “So, let me show you how we’re gonna get these babies into the country,” he said, smiling. “Wanna help?” And he took two sinus inhalers. The kind we all carried on the plane in case ears plugged up. He unscrewed the bottoms and emptied out the innards. Then, taking tiny pieces of tissue, he showed me how we would wrap each and every diamond, placing them back into the inhalers. Screwing the bottoms back on. The next day I couldn’t decide which was the bigger secret. The kiss or the smuggling. But when passing through customs and being stopped by the agent, we both simply smiled and said we had nothing to declare. 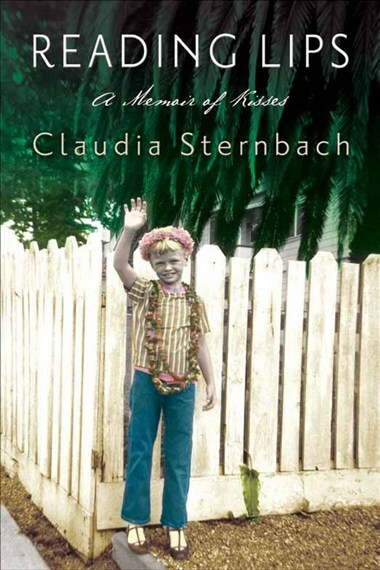 Claudia Sternbach is a writer who is equally at home on both coasts. She has one foot in Manhattan where her daughter resides and the other in northern California where her husband is planted as firmly as the redwoods. she is the author of another memoir, Now Breathe (1999, Whiteaker Press), has been published in several anthologies as well as in major newspapers, and is the Editor in Chief of Memoir (and), a literary journal.